Note: WorkManager is still in public preview. 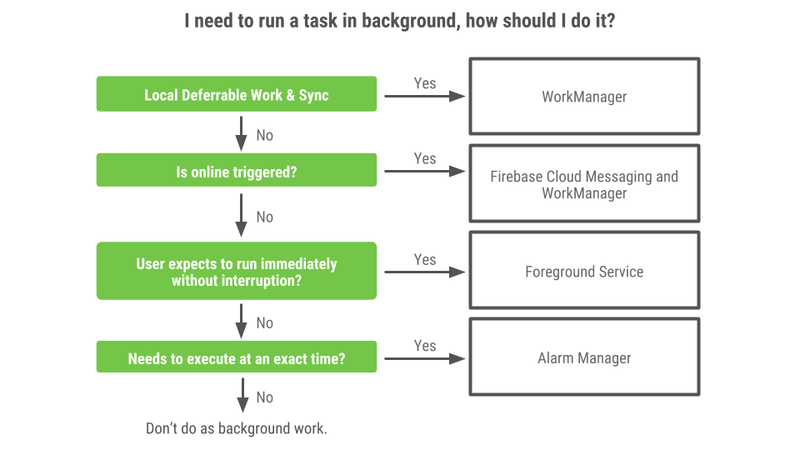 If you need an alternative solution right now, you should use JobScheduler, although it has limitations that don't apply to WorkManager. JobScheduler is part of the Android Framework, and only available for Android API 21 and above; WorkManager works on API 14 and above.